Posted on 7, March 2016 by EuropaWire PR Editors | This entry was posted in Healthcare, Society, Telecom, United Kingdom and tagged Maternal health programme, Swiss Re Foundation, toll-free emergency line in Tanzania, Touch Foundation, USAID, Vodafone Foundation, WeCareSolar. Bookmark the permalink. LONDON, 07-Mar-2016 — /EuropaWire/ — Many hundreds of high-risk pregnant women in an area of Tanzania around the size of Belgium are not surviving pregnancy or are losing their babies as there is no means of getting them to hospital. In response, a pioneering new toll-free emergency line has been launched by the Vodafone Foundation – alongside its NGO partners Pathfinder International and Touch Foundation and the U.S. Agency for International Development (USAID). The emergency line – equivalent to 112 in Europe, 911 in the US and 999 in the UK – could help save around 225 women’s and babies’ lives a month, and will see a network of 100 taxi drivers responding to emergency calls, taking pregnant women on what is often a three-hour journey to reach the nearest hospital. Once women arrive at hospital, the emergency taxi drivers are paid using Vodafone’s mobile payment service M-Pesa. A trial of the taxi service late last year in a small area of Sengerema saved the lives of 323 women and babies. 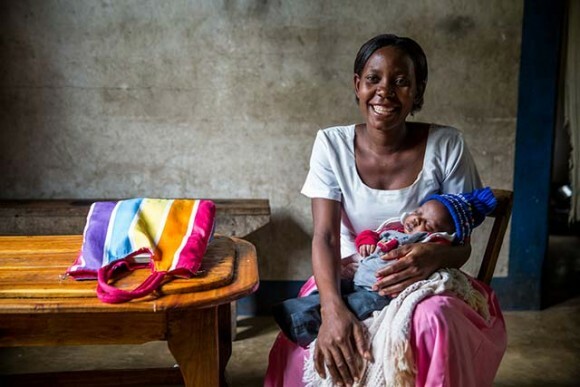 Previously, there was no way for many pregnant women with serious complications, many of who are teenagers, to get to hospital in the districts of Sengerema and Shinyanga. Despite a population of two million people, only 10 ambulances service the expansive area, leading to large numbers of maternal and infant deaths. As part of the wider programme, a network of 250 community health workers in Sengerema and Shinyanga have been taught Tanzania’s newborn and child health curriculum, and an additional 209 health workers have been trained in life-saving emergency obstetric and newborn care. Touch Foundation helped improve facilities in hospitals, including building two theatres for Caesarean sections. A mobile application has also been developed for the community health workers, which lists more than 10,000 pregnant women and identifies those who are high risk cases. Pathfinder International, whose role in the partnership involved working with community health workers and health centres, has separately worked with WeCareSolar to install solar suitcases in 58 facilities for provision of power, making night deliveries possible. The Vodafone Foundation has been supporting maternal health in Tanzania since 2010. As part of the Vodafone Foundation’s Connecting for Good programme, Vodafone partnered with the Comprehensive Community Based Rehabilitation Tanzania (CCBRT) and various NGOs to help cure women who suffer from obstetric fistula. Thanks to the partnership and the use of M-Pesa – CCBRT uses M-Pesa to transfer funds for a patient’s travel to hospital – hundreds of women are now receiving the treatment they desperately need. The total number of surgeries increased from 268 in 2010 when M-Pesa was first introduced into the patient referral process to more than 3,000 in 2016, making it the largest fistula repair programme in the world. The maternal health programme in Tanzania is part-funded by USAID and the Swiss Re Foundation. Vodafone Foundation Director Andrew Dunnett, said: “Our maternal health programme is another example of the transformative power of technology. Since 2010, our ‘text to treatment’ programme has benefitted more than 3,000 women living with debilitating maternal condition obstetric fistula. Now, this pioneering new service will provide a much-needed lifeline for thousands of high-risk pregnant women in Tanzania without access to emergency healthcare”. Rehema Sanane, age 30, three weeks ago (10 February 2016) gave birth to a healthy boy called Setu. However, her situation could have been very different if she had not been able to travel to the district hospital at short notice. On 10 February, 2016, she experienced labour pains and sudden bleeding. She visited the nearest health facility, one kilometre form her home, where she was assessed and told that she and her newborn child were in danger as she was experiencing ante-partum haemorrhaging. She dialled the Vodafone Foundation’s ‘ambulance taxi’ free emergency line immediately and, within minutes, she was in a community taxi on the way to the district hospital. She was accompanied by her husband, neighbour and a nurse from the facility. Setu was delivered normally despite Rehema experiencing serious haemorrhaging. The Vodafone Foundation’s Connecting for Good programme combines Vodafone’s charitable giving and technology to make a difference in the world. Globally, the Vodafone Foundation supports projects that are focused on delivering public benefit through the use of mobile technology across the areas of health, education and disaster relief. The Vodafone Foundation invests in the communities in which Vodafone operates and is at the centre of a network of global and local social investment programmes. The Vodafone Foundation is a UK registered charity, registered charity number 1089625. Pathfinder International http://www.pathfinder.org/ is driven by the conviction that all people, regardless of where they live, have the right to decide whether and when to have children, to exist free from fear and stigma, and to lead the lives they choose. Since 1957, we have partnered with local governments, communities, and health systems in developing countries to remove barriers to critical sexual and reproductive health services. Together, we expand access to contraception, promote healthy pregnancies, save women’s lives, and stop the spread of new HIV infections, wherever the need is most urgent. Our work ensures millions of women, men, and young people are able to choose their own paths forward. Touch Foundation http://www.touchfoundation.org/ improves the health of the Tanzanian people by strengthening the health system across different levels of care. Touch further expand its impact across Tanzania and beyond by sharing scalable models with the local and international public health community. Touch’s commitment to addressing Tanzania’s healthcare crisis is coupled with a philosophy that international development should not foster dependency, but rather work to effect long-lasting positive change. Touch prioritizes key areas of intervention and designs programs based on robust needs analyses. Touch then acts as a catalyst, facilitating collaboration between local and international partners to bring together the technical expertise required to drive improvements in Tanzania’s healthcare landscape. Touch has developed and implemented its signature Treat & Train program, focusing on two key objectives: improving the quantity and quality of healthcare workers and enhancing healthcare delivery mechanisms. The Treat & Train program establishes an integrated healthcare and education network across facilities in the Lake Zone of Tanzania, which has a population of nearly 17 million. USAID is the lead U.S. Government agency working to end extreme global poverty and enable resilient, democratic societies to realize their potential. In Tanzania, USAID is supporting the country’s socio-economic transformation toward middle income status by empowering women and youth, achieving inclusive broad-based economic growth, and improving effective democratic governance.